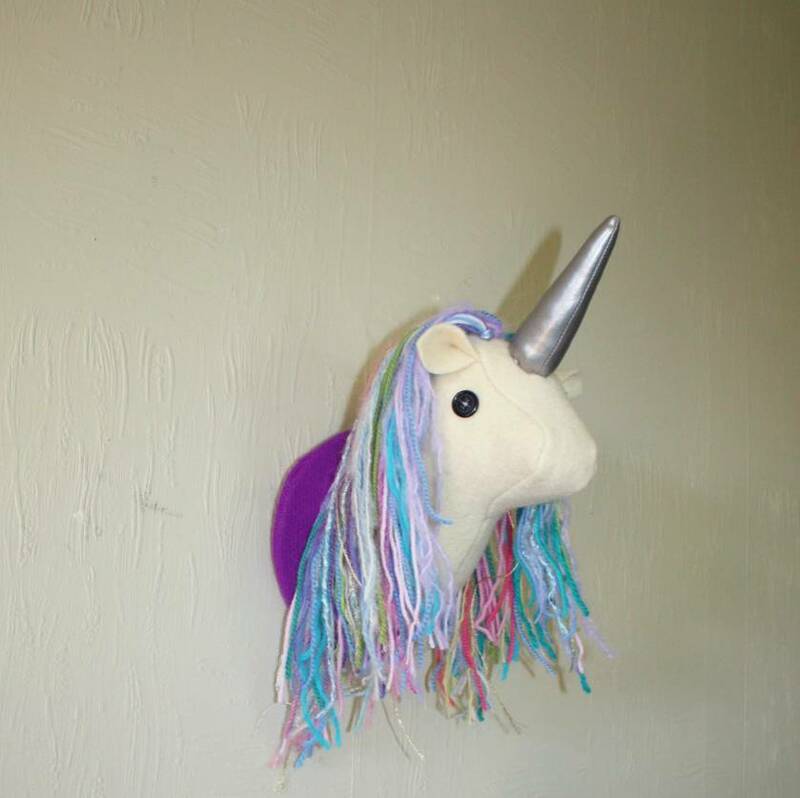 A magical unicorn head mounted to hang on your wall. 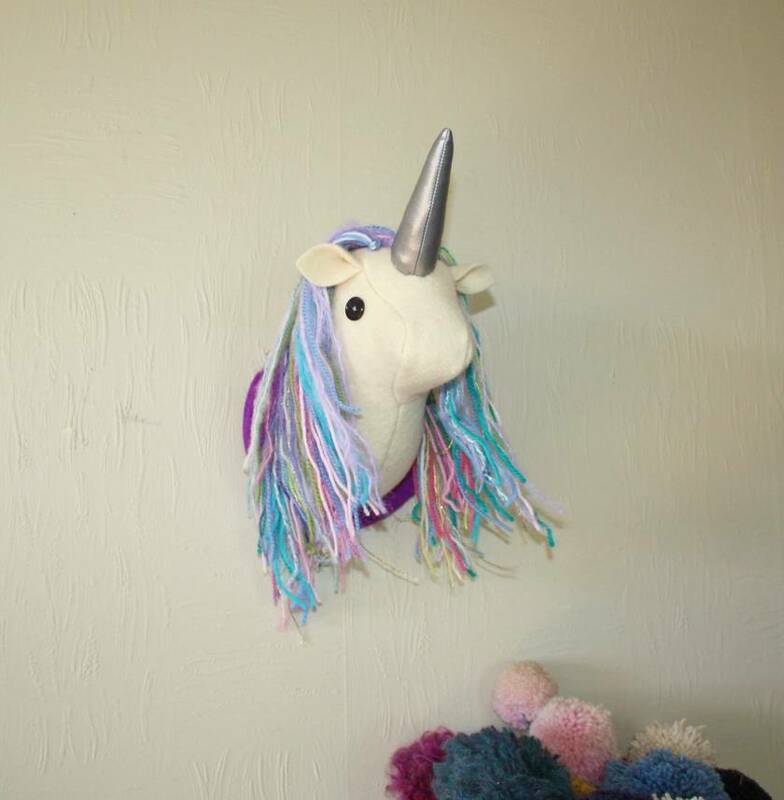 Made from vintage repurposed wool blankets, Fabulous is ivory mounted on soft pastel coloured mount board with a silver vinyl horn. 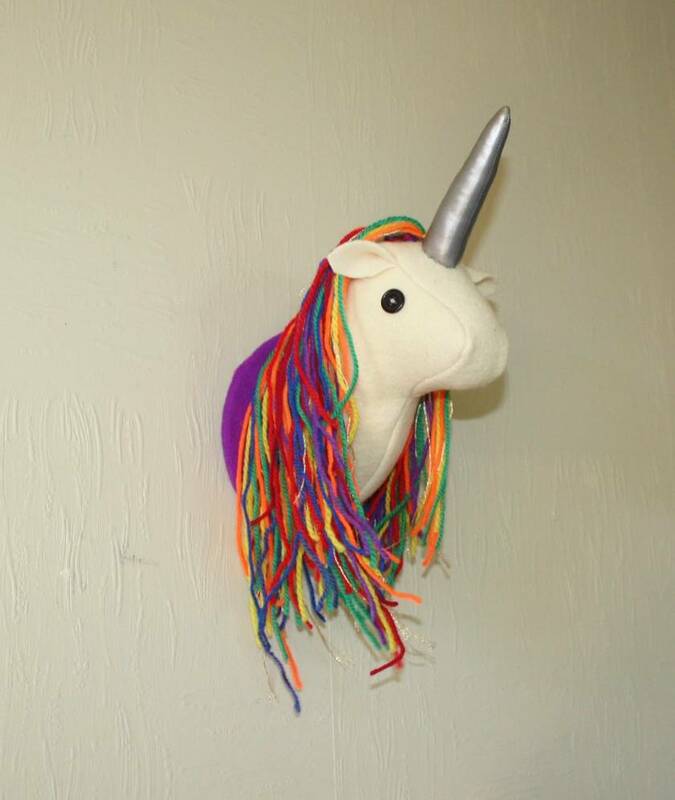 A friendly looking, cute wee creature great for a child's bedroom or over your fire place! 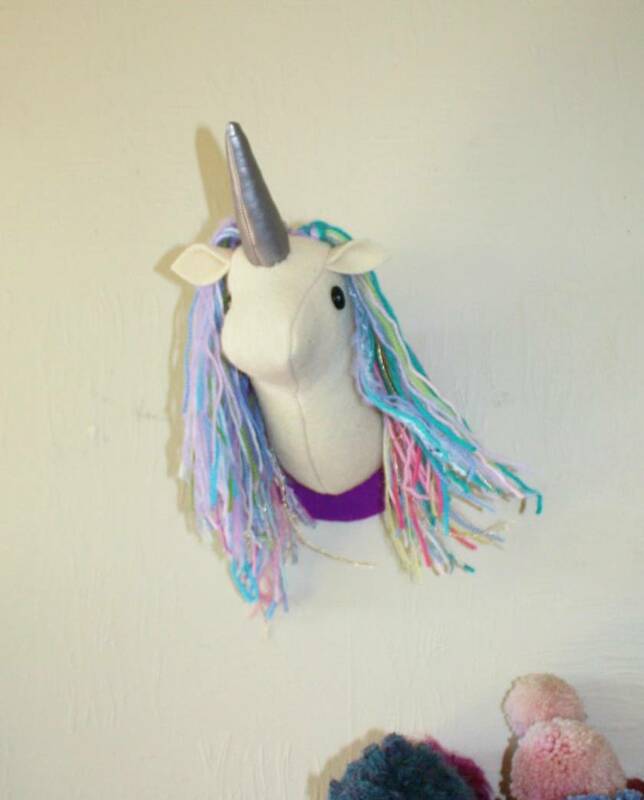 They are light and easy to hang from a picture hook or a push pin. If you are ordering internationally, please choose paypal, bank deposit is available to NZ bank accounts only. The back board measures 16 cm, and is 31 cm from top of the horn to base. They are approx 16 cm deep.